That was a quick reply. $70 for a mana crypt?? I'm jealous. 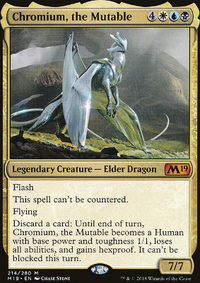 I'm proud of my collection too, having seen Ugin, Rings, and Crypt all double in price since I bought them. I completely understand you not wanting to start a stax arms race. I guess some people like untapping their cards, god knows why. 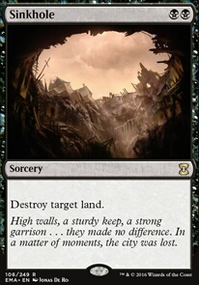 I know you've decided against it, but Tangle Wire is so stupidly good in EDH, I just have to mention it one more time. Of all the tap effects, Wire holds a special place in my cold, dead heart. 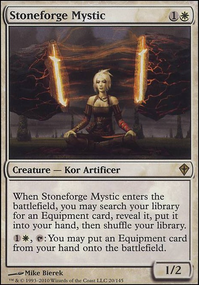 A card I forgot to mention is Mirage Mirror , which not only can make a little mana, but can also serve as a sac outlet for Kozi due to the legend rule, as well as serve as an emergency Kozi duplicate WITH HASTE. 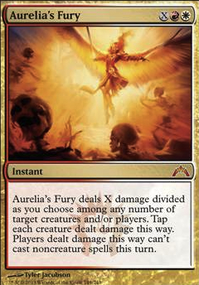 If you're feeling combo-inclined, Mirror can duplicate Inventors' Fair to set up a near-certain win with a double-tutor. Not only that, but you aren't limited to your own permanents. See a Necropotence ? Now it's MY Necropotence. Otherwise, Mindslaver shenanigans are fun, although I'm sure you were already aware of that. Helm of Awakening can be dirty, but you'd better be prepared to win if you play it. I see you've added 100 Strip Mine s to the maybeboard. I'm not sure that's enough. Also, I've tried (and cut) Lotus Petal myself. It's decent enough in your opening hand, but pretty poor at any other point in the game. I love coming up with puzzles and challenges involving unique interactions in these sorts of decks. To show off the power of Mirage Mirror , I've come up with a puzzle for you. Goal: Win the game against 3 players with 40 health this turn. The top of your deck is irrelevant (let's say that all 6 Wastes are on top). Ignore the puzzle if it's not your thing. Thanks for taking the time to give such a detailed reply. I read some articles about this deck and I am of the opionion that Lotus Petal , Welding Jar , and Herbal Poultice are better then Ornithopter . I think you can find some more decks similar to this one here on TO. 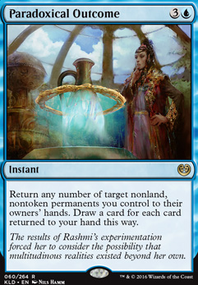 Also, t1 Emrakul, the Aeons Torn is more possible in vintage now. 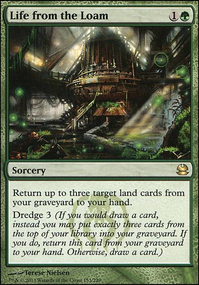 t1: Swamp , Dark Ritual , Dark Ritual , Black Lotus , Lotus Petal , Demonic Tutor for Citadel, Vampiric Tutor for Emrakul, the Aeons Torn , cast Citadel, cast emmy from the top. 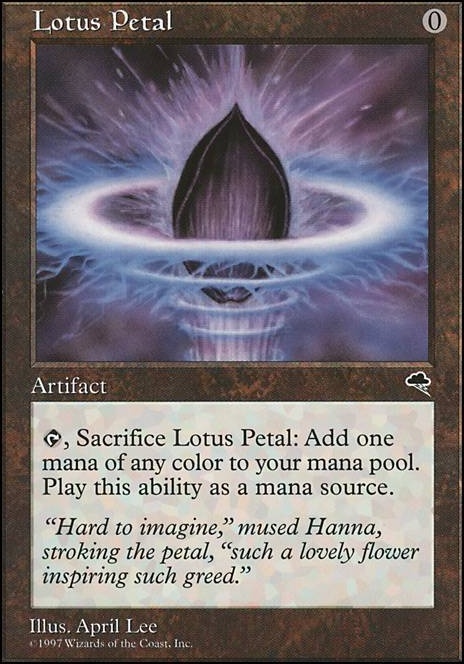 t1: Underground Sea , Lion's Eye Diamond , Dark Ritual , Lotus Petal .